C-SPAN may be best known for covering Capitol Hill, but it also covers American history. In January, it is highlighting U.S. diplomatic history in a two-part program focused on the collection of the United States Diplomacy Center. 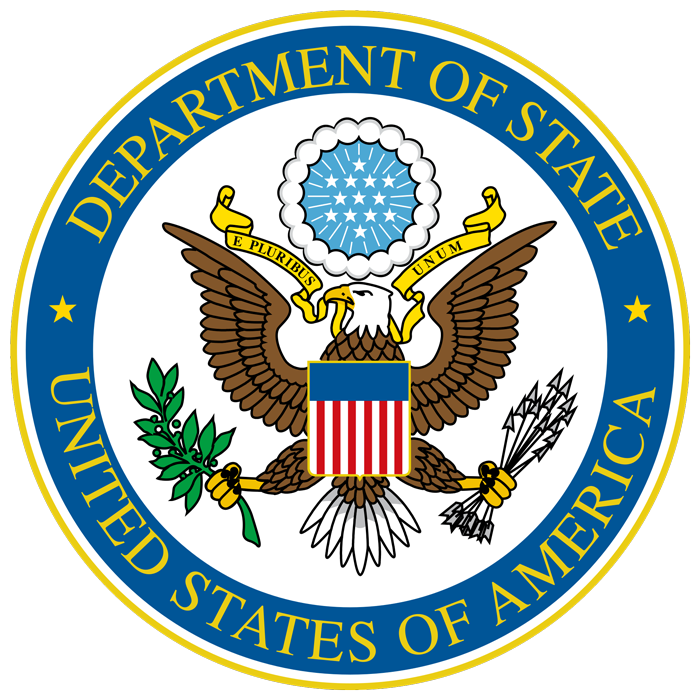 While many Americans may know the publicized outcomes of diplomatic negotiations – treaties to end wars or international arms control or trade agreements – many are interested in learning more about the work of the Department of State and other foreign affairs agencies and how the practice of diplomacy impacts their lives. The United States Diplomacy Center will seek to help Americans explore what diplomacy is, who does it on their behalf, and why it matters. Central to these efforts will be exhibits of artifacts related to American diplomacy. In its collection, the Center holds over 7,500 artifacts that bring diplomatic stories to life in interesting and sometimes unusual ways. In September 2017, C-SPAN filmed highlights from the Center’s collection for its program American Artifacts. We were delighted at the opportunity to showcase the collection in advance of the museum’s opening and reach the network’s national audience. Associate Curator Katie Speckart and Public Historian Dr. Alison Mann researched the diplomatic stories of more than 35 artifacts from the collections to feature on the program. Thematically, they grouped the selected artifacts into six areas: the founding of the nation; Department of State institutional history; the Cold War; U.S. embassies in crisis; gifts of state; and diplomatic tools of the trade. On camera, the pair had a “conversation” about each artifact, revealing little known stories from diplomatic history. Over the course of 3 hours of filming, Katie and Alison covered more than 200 years of U.S. diplomatic history. Original John Dunlap printing of the Treaties of Amity and Commerce and of Alliance, 1778: Negotiated by the American diplomats Benjamin Franklin, Silas Deane, and Arthur Lee, these first American treaties created a formal alliance with France that ensured the success of our nation’s struggle for independence. Set of 2,000 Chinese-English flash cards in a custom box, 1934: This elegant flash card set belonged to the late Ambassador James Kedzie Penfield. He was assigned as a Language Officer to China. All U.S. Foreign Service Chinese Language Officers were trained in Peking (Beijing) from 1902 until 1949 when U.S. diplomatic and consular representation on the China mainland ceased. U.S. Minister flag, 1991: Post World War II, the United States was represented in Germany by an Ambassador at the embassy in Bonn and by a Minister to Berlin to manage the U.S. presence in that divided city. This unique U.S. Minister’s flag was presented to Harry Gilmore upon completion of his Berlin assignment. After reunification, the Embassy returned to Berlin and the U.S. Minister position was eliminated. Porcelain tea service, 2001: Russian Foreign Minister Igor Ivanov marked the end of Secretary of State Madeleine Albright’s tenure with this gift he inscribed “Madeleine and Her Dream Team.” It features the faces of several of her European and Canadian counterparts on the teacups.